There are not two ways about it – World of Warcraft is the game that defines the MMORPG genre, with more than 7.1 million subscribers as of May, 2015 (which is more than any other MMO). However, the figure that is most striking relates to how more than a 100 million accounts had been created for the game in its lifetime of just over 10 years. This is complemented by the fact that WoW is one of the largest open-world games ever created. But beyond just numbers, there is no denying the rapidly shrinking fan-base of the behemoth, with one of the reasons being attributed to its dated graphics. So what would the MMO look like if it was rendered in a more advanced game engine? Well, Youtube-user Daniel Luchau answers your question with aplomb – with his rendition of the World of Warcraft’s ‘Elwynn Forest’ section in the new Unreal Engine 4. Suffice it to say – the result is nigh magnificent! According to Luchau, he made changes to a host of stuff, including LOD for trees, proper shadows for the area, better water reflection, far better wood textures and of course ambient occlusion. However, the tree textures themselves are kept default – thus lessening to a small degree the impact of the noticeable improvement in graphics. And, while we are it, we should make it clear – this graphical demo is NOT in a playable state. Anyhow, Luchau’s incredible achievement does shed some light into the future potential of a MMORPG like World of Warcraft, at least in terms of graphical fidelity. 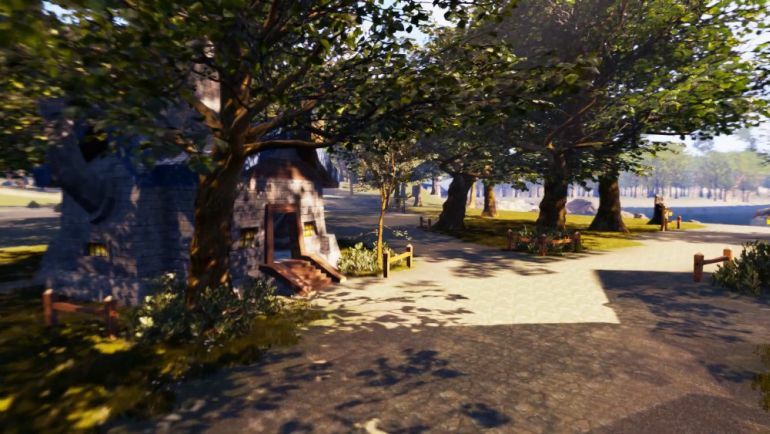 And in case you are interested, Luchau also plans to add the rest of the zone, along with the Duskwood and Westfall areas – and this release built is expected to be free for VR.